In recent days with some cloudy weather, and increasing load on both the old and new solar systems, we have had only a small amount of power left in battery storage in the mornings. As we are on the western side of the Sarabah Ridge, we miss the first hours of sun because our main panels sections do not get hit by sunlight until after 7:30am. This means we are without power generation until after that time..
We have no way of getting panels into the morning sun, and we dont have the ability to move the mountain…. 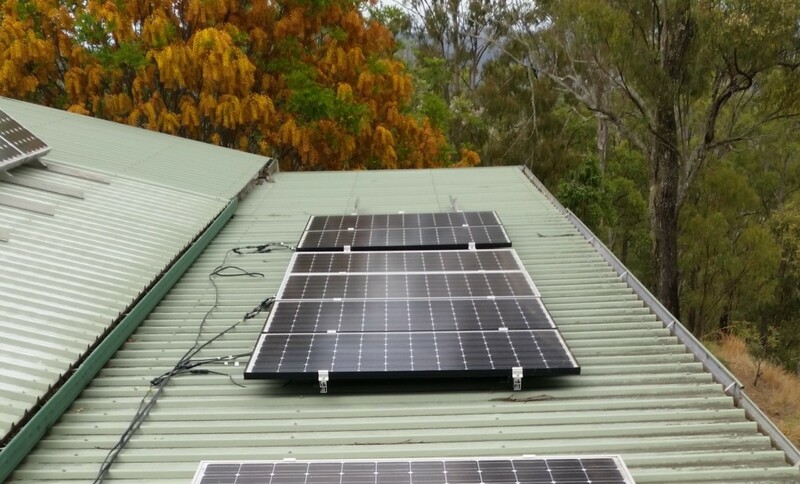 so additional generation – in the way of extra panels – was the only real choice we had. We own 3 ‘spare’ panels, and we were waiting on acquiring a fourth before we added them to the generation power. But, on reflection we thought we should have as many panels up as possible to maximise our generating power. 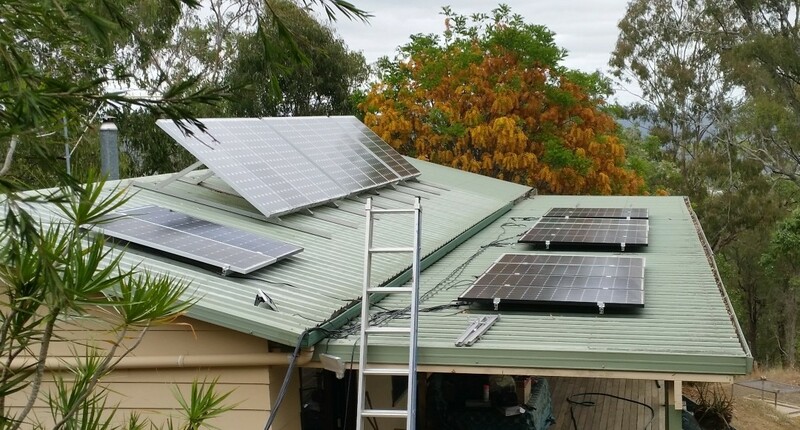 New solar panels added to western roof. So we added two new panels, on the western end of our current panels. This position should pick up more early sun, as the western edge of the house roof receives the first rays of the morning sun. We also have room and plans for 2 more panels on this rack, and then an additional 4 on the western end of the pitched roof. This would add an additional 1.5 kW to our generating power.